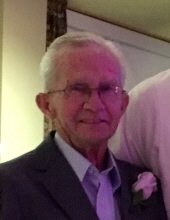 Thomas L. Pridemore, age 75, of Louisville, KY, passed away Thursday, March 14, 2019, at Norton Audubon Hospital in Louisville, Ky. He was born in Amburgey, KY on December 27, 1943 to Lemuel Pridemore and Bertie Owens Pridemore. Funeral services for Tommy Pridemore will be held at the Hindman Funeral Services Chapel, Monday, March 18, 2019 at 1:30PM with Glenn Noe and Lawrence Baldridge officiating. Burial will follow at the Mountain Memory Gardens at Hindman, KY with military honors being conducted by Knott County DAV Chapter 171. Visitation will be held at the Chapel Sunday afternoon from 2-8PM. Glenn Noe and Lawrence Baldridge officiating. "Email Address" would like to share the life celebration of Thomas L. Pridemore. Click on the "link" to go to share a favorite memory or leave a condolence message for the family.